NA HUI HUI A MAKA LILI is Hawaiian for "Seven Sister Stars". 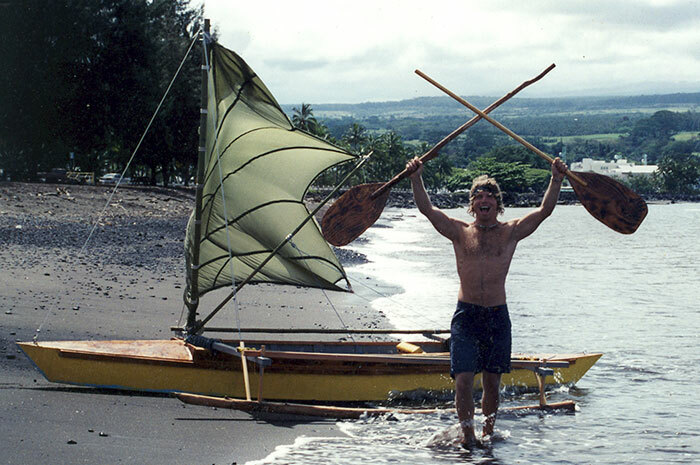 It is also the name of Ben Travis' sailing outrigger canoe. Built in April of 2001, it is 16' long with a 30" beam. The unusual sail was cut from a parachute. Ben calls the rig a sprit-half-gaff rig. Construction is of fiberglass-covered plywood with a bamboo mast and outrigger. 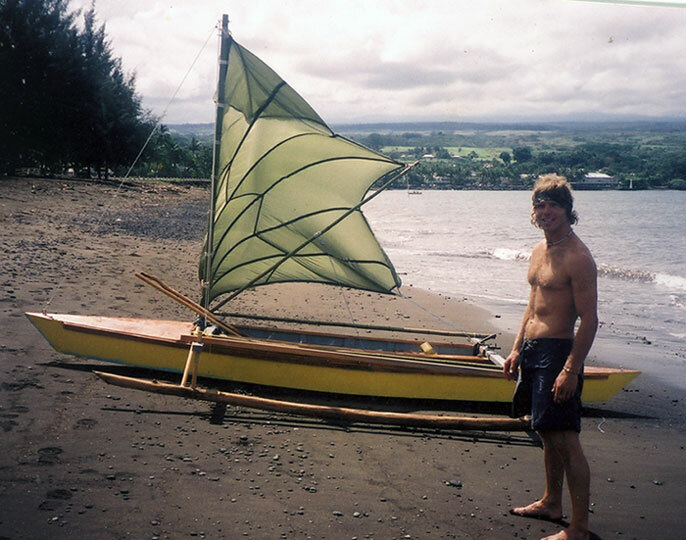 Ben says it is a "blast to sail and steer with a paddle and swim off of on the Kona coast."